Professor Ben-Gad obtained his BA in Economics at Hebrew University of Jerusalem and his MA and PhD from the University of Chicago. He has worked in the Research Department of the Bank of Israel, and taught at the University of Houston and the University of Haifa. He joined City as a Reader in 2007 and served as Head of Department between 2010 to 2013. His research focuses on Dynamic Macroeconomics with applications to taxation, public debt, the economic effects of immigration, as well as the emergence of multiple equilibria in models of economic growth. Between 2014 to 2016, Professor Ben-Gad served on the US National Academy of Sciences panel on the The Economic and Fiscal Consequences of Immigration. In 2011 he completed research funded by an ESRC grant that is funded by HM Treasury and HMRC on fiscal policy and immigration. Professor Ben-Gad has recently appeared on the BBC, CNBC and in the Wall Street Journal discussing the global financial crisis. In 2017 he was appointed a Fellow of the Royal Society of Arts (FRSA). Hebrew (can read, write, speak, understand spoken and peer review). - HMRC/HMT/ESRC Joint Research Programme, 2011 (research grant RES 194-23-00-0020). - Israel Science Foundation, "Distortionary Taxation, Public Debt, and Immigration" 2007-2008, (research grant no. 49/06). - Economics and National Security, Samuel Ne'eman Foundation, Technion, 2004. (research grant no. 358, shared with Prof. Yakov Ben-Haim). - Edelstein Foundation for Population Research, 2002. - Advanced Research Program, Social Sciences Research Grant, Texas Higher Education Coordinating Board, State of Texas, 1997-99 (research grant no. 003652-836). - Research Initiation Grant, University of Houston, 1996. - Bradley Foundation Grant, University of Chicago, 1994-95. - Henry Morgenthau Jr. Memorial Scholarship in Public Finance, University of Chicago, 1994. - Century Scholarship, University of Chicago, 1989-93. Ben-Gad, M. On the Political Economy of Deficit Bias and Immigration. The Economic Journal . Ben-Gad, M. The Optimal Taxation of Asset Income when Government Consumption is Endogenous: Theory, Estimation and Welfare. Economic Inquiry . (2017). The Economic and Fiscal Consequences of Immigration. National Academies Press. ISBN 978-0-309-44445-3. National Academies of Sciences, Engineering, and Medicine, and Ben-Gad, M. (2017). Employment and Wage Impacts of Immigration: Theory. In Blau, F.D. and Mackie, C. (Eds. ), The Economic and Fiscal Consequences of Immigration (pp. 165–196). Washington, D. C.: The National Academies Press. ISBN 978-0-309-44445-3. Ben-Gad, (2015). Economists put the `Science` in Social Science. In Kishor, V. (Ed. ), Economics for the Eager ISBN 978-1-925128-30-7. Ben-Gad, M. (2009). Analyzing Economic Policy Using High Order Perturbations. In Hurlington, C.W. (Ed. ), Economic dynamics: Theory, Games and Empirical Studies New York: Nova Science Pub Inc.. ISBN 978-1-60456-911-7. Ben-Gad, M. (2006). The impact of immigrant dynasties on wage inequality. Ben-Gad, M. (2018). On the Political Economy of Deficit Bias and Immigration. The Economic Journal, 128(614), pp. 2191–2221. doi:10.1111/ecoj.12502 . Ben-Gad, M. (2017). The Optimal Taxation of Asset Income when Government Consumption is Endogenous: Theory, Estimation and Welfare. Economic Inquiry, 55(4), pp. 1689–1711. doi:10.1111/ecin.12463 . Ben-Gad, M. (2013). International Migration in the Age of Crisis and Globalization. ECONOMICA, 80(318), pp. 379–380. doi:10.1111/ecca.12019 . 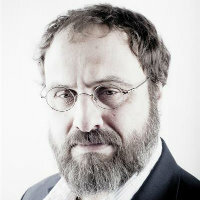 Ben-Gad, M. (2012). The two sector endogenous growth model: An atlas. Journal of Macroeconomics, 34(3), pp. 706–722. doi:10.1016/j.jmacro.2012.03.005 . Ben-Gad, M. (2009). Economic 'impact' is a poor basis for funding decisions. Research Fortnight. Ben-Gad, M. (2008). Capital-skill complementarity and the immigration surplus. Review of Economic Dynamics, 11(2), pp. 335–365. Ben-Gad, M. (2006). The Impact of Immigrant Dynasties on Wage Inequality. Research in Labor Economics, 24, pp. 77–134. Ben-Gad, M. (2004). The welfare effects of the Reagan deficits: A portfolio choice approach. Economic Inquiry, 42(3), pp. 441–454. doi:10.1093/ei/cbh072 . Ben-Gad, M. (2004). The Economic Effects of Immigration---a Dynamic Analysis. Journal of Economic Dynamics and Control, 28(9), pp. 1825–1845. doi:10.1016/j.jedc.2003.04.008 . Ben-Gad, M. (2004). Taxes, the Debt Burden, and the Economic Program. Labor, Society and Law, 10, pp. 241–256. Ben-Gad, M. (2004). Measuring the Welfare Effects of the Reagan Deficits: A Portfolio Choice Approach. Econonic Inquiry, 42, pp. 441–454. Ben-Gad, M. (2003). Fiscal Policy and Indeterminacy in Models of Endogenous Growth. Journal of Economic Theory, 108(2), pp. 322–344. Ben-Gad, M. (2000). The Incidence of Deficit Finance with Imperfect Capital Markets. Southern Economic Journal, 66(3), pp. 649–666. Ben-Gad, M. (1999). Balanced-Growth-Consistent Recursive Utility and Heterogenous Agents. Journal of Economic Dynamics and Control, 23(3), pp. 459–462. doi:10.1016/S0165-1889(98)00005-0 . Ben-Gad, M. (1989). The Fiscal and Monetary Dynamics of Israeli Infation: A Cointegrated Analysis 1970-1987. Centre for Economic Policy Research Discussion Paper Series, 290. Ben-Gad, M. (2016). Classifying economists. Ben-Gad, M. (2016). Correspondence on classifying Economists. Ben-Gad, M. (2016). Could an end to corporate tax help Britain’s Brexit-burdened finances? Ben-Gad, M. (2016). Greece economy rallies while Germany stutters but restraint still required. Ben-Gad, M. (2015). Into the labyrinth. Ben-Gad, M. (2015). Manifesto Check: the bizarre economic creed of the Greens. Ben-Gad, M. (2015). Greece’s path out of the euro. Ben-Gad, M. (2014). Autumn Statement: the experts respond. Ben-Gad, M. (2014). A capital offence. Ben-Gad, M. (2014). What you didn't hear in the budget. Ben-Gad, M. (2014). The tiny Estonian town that could spell the end of NATO. Ben-Gad, M. (2013). Ignore the armchair economists, Osborne’s plan is sensible. Ben-Gad, M. (2013). Smoothing the Way. Ben-Gad, M. (2010). The Power of Macroeconomic Predictions. Ben-Gad, M. (2009). Economic 'impact' is a poor basis for funding decisions. Ben-Gad, M. (2009). Correspondence on Macroeconomic Theory. Ben-Gad, M. (2007). The Economist is the Commissar's Worst Enemy. Ben-Gad, M. (2001). A Fence for a Time of Peace. Ben-Gad, M. (2000). Correspondence on immigration and taxation. Ben-Gad, M. (1999). Correspondence on immigration of academics and scientists. Ben-Gad, M. (2013). Public Deficit Bias and Immigration. Ben-Gad, M. (2008). The Two Sector Endogenous Growth Model and the Intertemporal Elasticity of Substitution: An Atlas. Ben-Gad, M. An Analysis of Immigration in a Dynamic Macroeconomic Model. Beenstock, M. and Ben-Gad, M. The Fiscal and Monetary Dynamics of Israeli Inflation: A Cointegrated Analysis 1970-1987. Ben-Gad, M. Capital-Skill Complementarity and the Immigration Surplus. Ben-Gad, M. (2015). Allocating Security Expenditures under Knightian Uncertainty: an Info-Gap Approach. London, UK: City University London. Ben-Gad, M. (2015). The Optimal Taxation of Asset Income when Government Consumption is Endogenous: Theory, Estimation and Welfare. London, UK: City University London. Ben-Gad, M. (2012). On Deficit Bias and Immigration. City, University of London. Ben-Gad, M. (2009). The two sector endogenous growth model: an atlas. London, UK: City, University of London. Ben-Gad, M. (2008). Analyzing Economic Policy Using High Order Perturbations. London, UK: City, University of London. Macroeconomics, public finance, the economics of immigration, economic growth. Finance and Economics conference: the future of The City. London (2013). Rescue Package for Ireland? CNBC Pressure on the euro fueled by rumors related to Ireland will persist as we head into the weekend and next week. Professor Michael Ben-Gad, head of economics at City University London and Moorad Choudry, head of business treasury at the Royal Bank of Scotland joined CNBC to discuss the outlook.